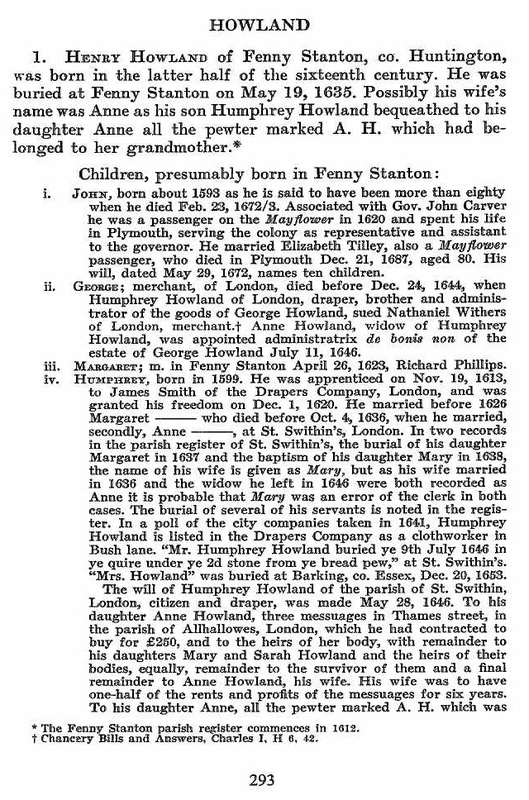 Henry HOWLAND (1564 – 1670 ) was Alex’s 12th Great Grandfather; one of 8,192 in this generation of the Shaw line. 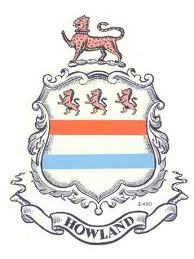 Henry Howland - Coat of Arms Granted in 1584 by Queen Elizabeth, beginning with Bishop Howland. Henry Howland was born about 1564 in Fenstanton, Huntingdonshire, England His parents were John HOWLAND and Emma REVELL. He married Margaret AIRES 26 Apr 1600 in St. Mary’s, Ely, Cambridgeshire. Henry died on 17 May 1635 in Fenstanton, Huntingdonshire. 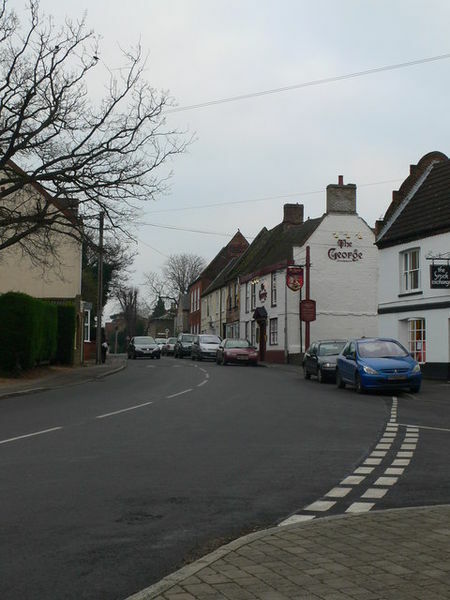 Henry is buried on 19 May 1635 in Fenstanton, Huntingdonshire. Occupation: Yeoman. Margaret Aires was born in 1567 in England. Margaret died on 30 Jul 1629 in Fenstanton, Huntingdonshire. Margaret is buried on 31 Jul 1629 in Fenstanton, Huntingdonshire. Humphrey’s second wife Ann (or Mary) [__?__] was born in Barking, Essex, England. Ann died in 1646. Humphrey was apprenticed on Nov 12, 1612 to James Smith of the Drapers Company, London and was granted his freedom on Dec 1, 1620. In a poll of the city companies in 1641, Humphrey Howland is listed as a clothworker in Bush lane. Simon was apprenticed to his brother Humphrey, his father’s name and parish being recorded in the books in 1622 and made free March 24, 1629. He was living in 1634. 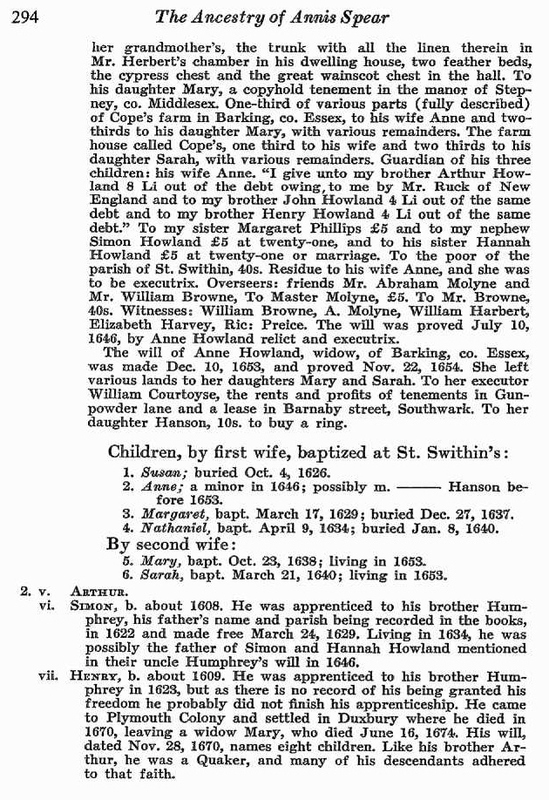 Henry’s wife Mary Newland was born 1609 in Fen Stanton, Huntingdonshire, England. Her parents were William Newland and Agnes Greenway. Her brother William married our ancestor Rose ALLEN in a second marriage for each. Rose’s father was George ALLEN the Elder and her first husband was Joseph HOLLOWAY. Mary died 17 Jun 1674. Rose Allen and her second husband, William Newland her also Quakers. They+ were fined 10 shillings for being at a Quaker meeting on October 2, 1661, and that same year, William Newland was complained of for having entertained a Quaker in his home..
Henry was apprenticed to his brother Humphrey in 1628, but as there is no record of him being granted his freedom, he probably did not finish the apprenticeship. He came to Plymouth Colony and settled in Duxbury where he died in 1674. His will dated Nov 22, 1670 names eight children. Like his brother Arthur, he was a Quaker and many of his descendants adhered to that faith. Henry resided for a while in Plymouth, but by 1633 became an early settler in Duxbury “by the bayside, near Love Brewster.” He was a surveyor of highways, and was able to bear arms in 1643. He was a grantee of Bridgewater in 1645, but did not remove there. 25 Mar 1633 – Henry’s name appears on the Plymouth tax list, and he was also on the original freeman list. 8 Apr 1633 – Walter Harris had his indenture transferred to Henry Howland. 5 Jan 1635/36 Henry became the constable of Duxbury. He was frequently a member of trial and grand juries. 3 June 1657 – Henry, John Tompson, Morris Truant, Ralph Allen, and Thomas Greenfield refused to serve on the grand jury. 2 Mar 1657/58 – The same day his brother Arthur was fined for permitting a Quaker meeting in his house and for resisting the constable of Marshfield in the execution of his office, Henry Howland was fined ten shillings for entertaining a meeting in his house contrary to court orders. 22 Dec 1657 – Henry, his son Zoeth and brother Arthur were called before the Plymouth court to answer for entertaining a Quaker, and suffering and inviting sundry to hear said Quaker. They were fined for using thier homes for Quaker meetings. The families of Henry Howland and his brother Arthur, were two Plymouth families most identified as practicing Quakers. The families ceased attending Plymouth religious services and allowed their homes for the conduct of Quaker meetings. Throughout his life, Henry’s brother John HOWLAND (also our ancestor) remained faithful to Separatist belief and practice, but his compassion for Quakers is not known. 2 Apr 1659 – Henry with 26 others bought of the Indians what is now Freetown, for a few old coats, rugs, iron pots, etc. including “one little kittle”. In 1664 he purchased a large portion of land in Mattapoisett (Swansea). Henry was owner of the sixth lot in Freetown. However, his sons, John and Samuel, really became the actual settlers. 6 Oct 1659 – Henry and his brother-in-law, William Newland, were were sentenced “to bee defranchised of their freedom of this corpation”. 1 May 1660 – Henry Howland was charged with entertaining another man’s wife in his house after her husband had complained to him, and for permitting a Quaker meeting in his house and entertaining a foreign Quaker. He stiffly denied the first charge, and the court noted that the evidence ‘did not appeer to make it out,’ but he was convicted on the Quaker charges. George was a merchant in London. This entry was posted in 14th Generation, Double Ancestors, Line - Shaw. Bookmark the permalink.